Again they were all taken in the north of Australia. In the north of the Western Australian Outback to be precise. This is the Duncan Road, previously known as the Duncan Highway. That's right, highway. 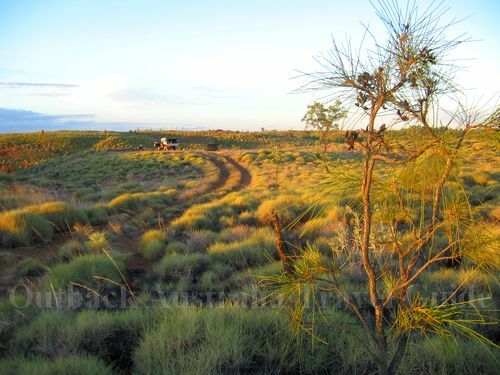 It's an important beef road, meaning it is used to transport the cattle coming from remote Outback stations (ranches). The road starts in the Northern Territory, crosses the border into Western Australia where it goes past the bottom of Lake Argyle. 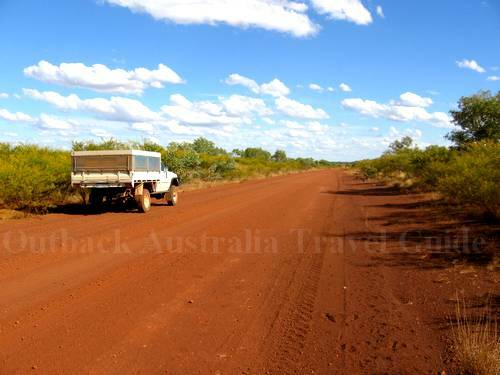 It joins the Buchanan Highway (also just a dirt road) before it reconnects with the bitumen of the Great Northern Highway in Halls Creek. The Australian Outback deserts receive a lot more rain than you would expect in a desert. In the north most of this rain falls during the wet season from November to April. Travel during that time is restricted and most roads are closed. But as soon as they open again in April/May, that is the very best time for travel up here. 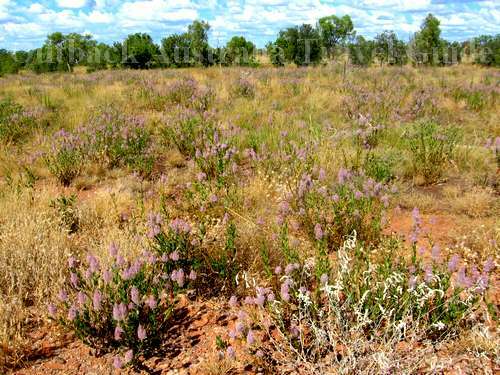 The Outback is carpeted with wildflowers. Every turn in the road reveals a new landscape with a different colour scheme. We had hot colours above, strong red and yellow. Here the big painter has used a pastel palette: mauve, silver and pink hues. 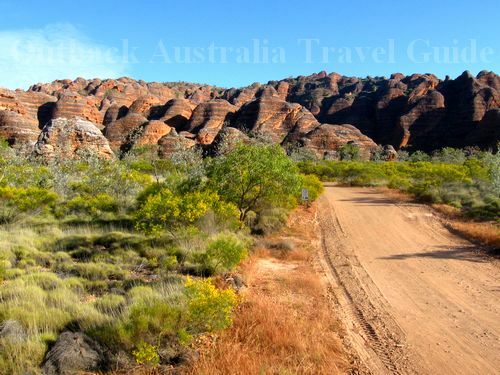 Back to the warmer colours, they certainly dominate in the Australian Outback. This picture was taken the next day in Purnululu National Park itself. It's early morning again and we are approaching the southern part of the Bungle Bungles range. 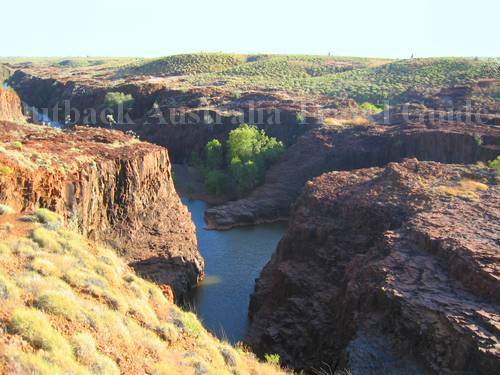 If you ever want to visit Australia's north try to be here just after the wet season. Trust me, there is no better time. Another campsite in the Australian Outback. This one is far, far off the beaten track. I love this place. Undulating plains stretch forever, with nothing but tufts of spinifex grass and the odd termite hill. It feels like the end of the world. Yes, you can get down there and swim at the waterfalls after the wet season, it's awesome. If you can find it, that is. 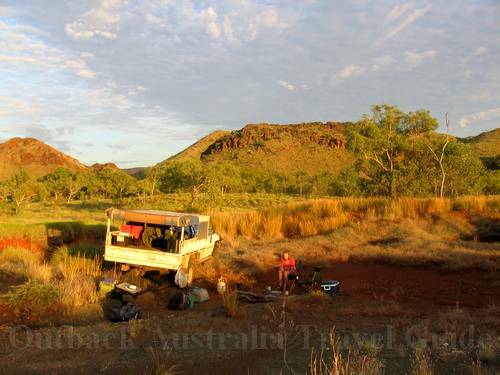 One day I'll find the time (I hope) and I'll make a page about the area on my other site, the Kimberley Travel Guide, and I'll tell you exactly how to get there.